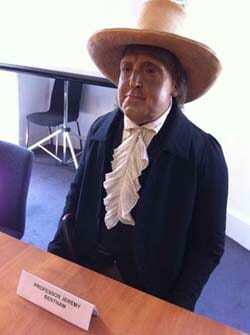 Jeremy Bentham prepares for the meeting. 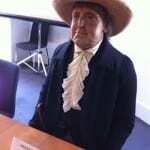 Most people know that Jeremy Bentham, the spiritual founder of UCL, attends every UCL Council meeting. He is always recorded as ‘present but not voting’, except when the Council is split on a motion. On those rare occasions he gets a vote, and always votes in favour of the motion, due to his mischievous personality.